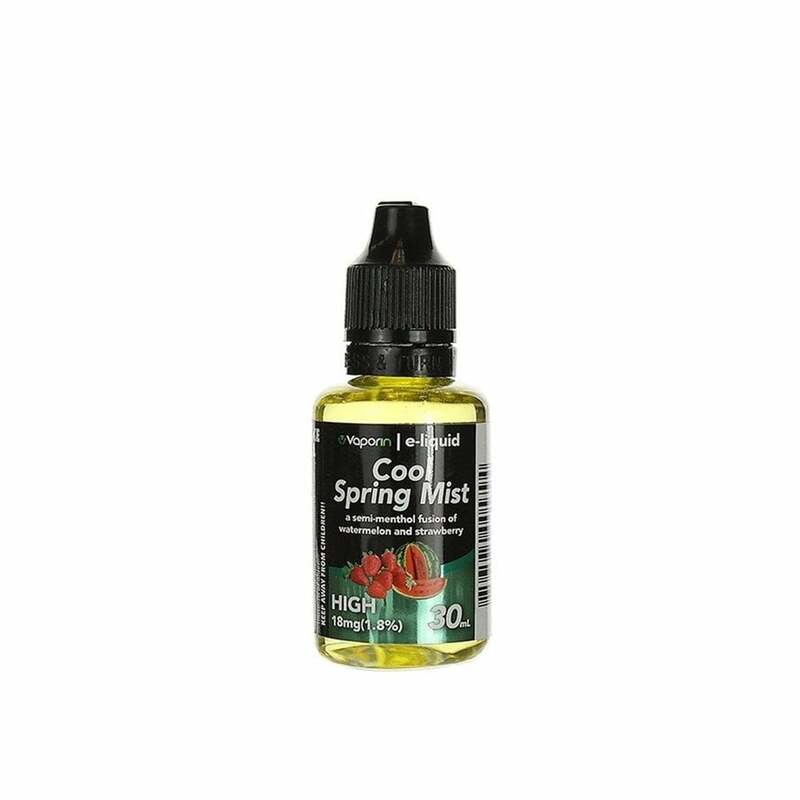 Cool Spring Mist vape juice is a refreshing watermelon and strawberry mix with a hint of menthol. I mistakenly purchased this product as I was expecting 1.8mg Nicotine level and this product has 18mg of Nicotine level. So, people who are bying this product please purchase it carefully. This stuff tastes great! I use it in all of my evapes. But what I do is I mix it with the stronger 50mg stuff I accidentally bought too strong and the result of the the two juices is just right! I wanted something in between. This has an almost candy taste to it with a refreshing mint mix to it. Was in the "menthol" section, more a fruity taste - not really menthol.